The winner of the Passover Seder pillows is (drumroll please) Fairfax Ave! Please contact EstherO (esther@craftsbyesthero.com) as soon as possible to be sure your pillows arrive in time for Passover! If you've been reading my blog, you already know I'm using all disposables for the Seder this year. 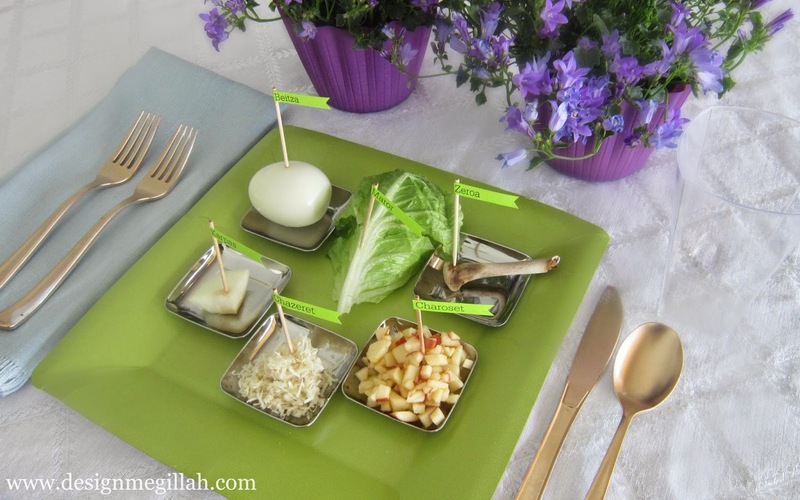 Because it's all paper and some plastic, I am able to give each guest their own Seder plate. So much easier than passing things around the table. 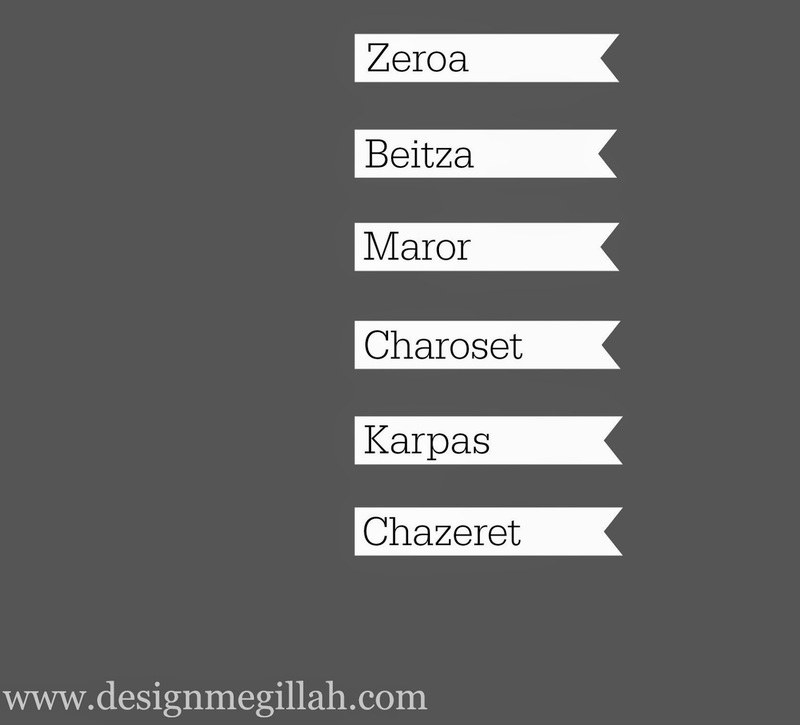 Many communities have different customs as to what to use for each item. 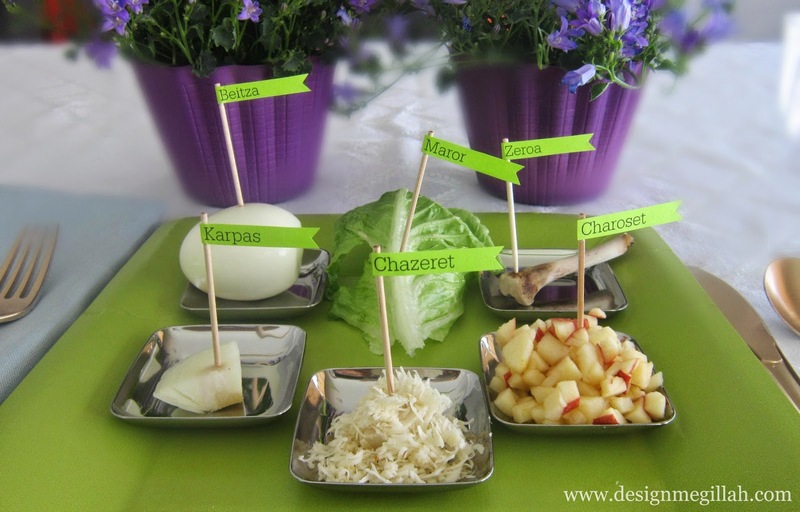 For instance, many people use parsley or celery for the Karpas, while Chabad uses a raw onion. These mini flags help clear up any confusion. Above is a free printable if you'd like to create the flags...I printed mine on green paper to match the plates but the color is up to you. 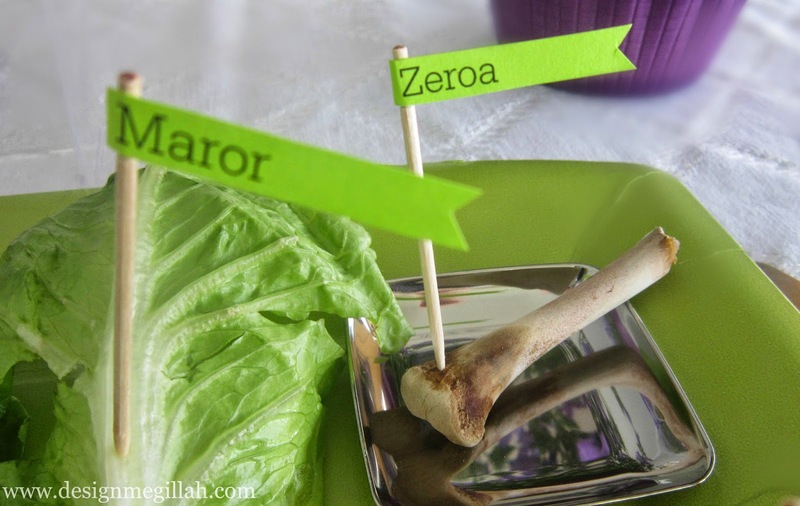 After cutting each flag out with a pair of sharp scissors glue the tops onto wood toothpicks. What do you use for the Karpas? Parsley, celery, boiled potato or onion?